Thanks to advancements in resolution, contrast and overall display technology, TVs have improved immensely in terms of visual fidelity. Unfortunately, in most cases however, audio has so been left behind. That said, a new partnership between audio legends Bowers & Wilkins and legendary TV craftsman Philips could balance the scales once and for all. According to Philips, we’ll get a look at the first product of the partnership at IFA 2018 - however, Philips wasn’t entirely clear about what that product may be. Chances are good the deal will be similar to the one LG has has signed with Meridian Audio earlier this year wherein the latter provides tuning and advice to the former to help enhance the audio performance of its high-end OLED and Super UHD TV series, but anything is possible at this point. 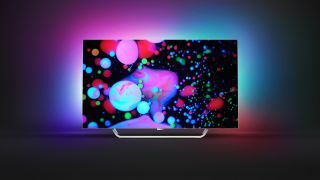 Best TV 2018: which TV should you buy for World Cup 2018 action?